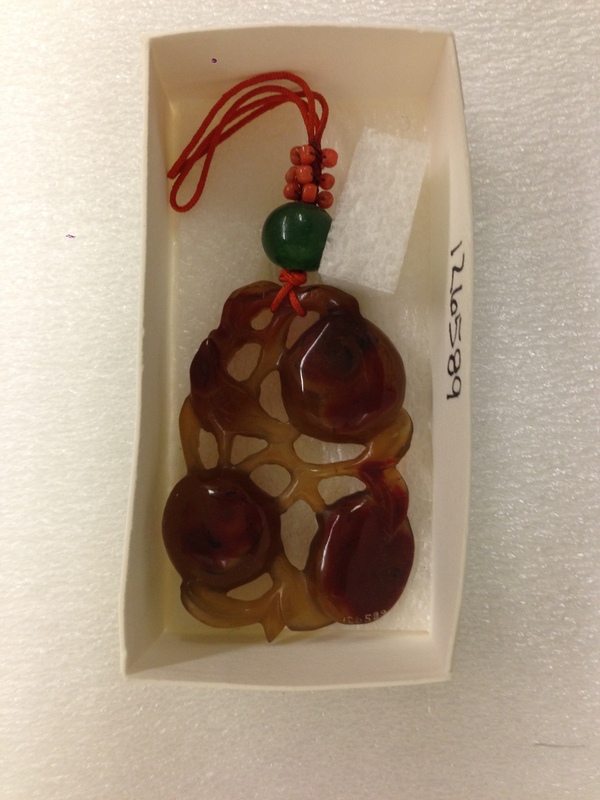 Description: paper weight, An agate paperweight carving with eight intertwined lizard-dragons in high relief. 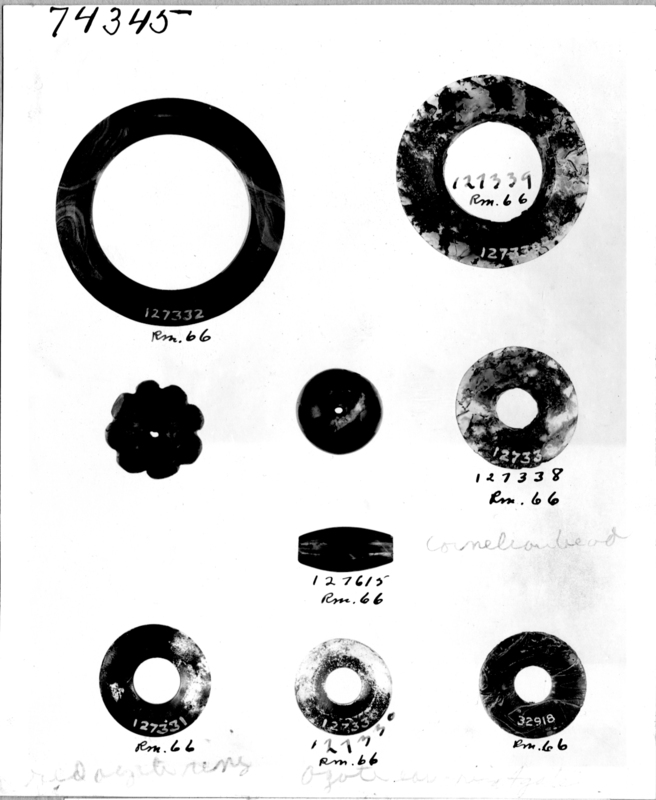 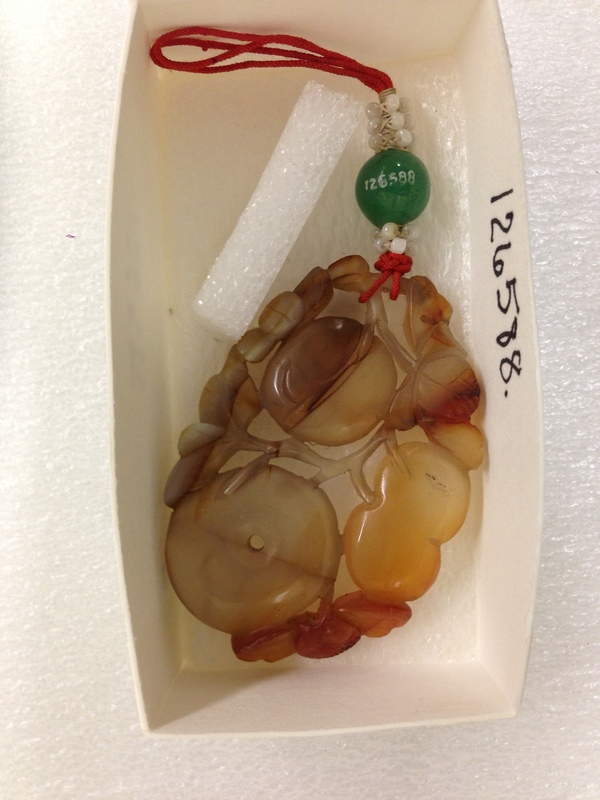 It was collected by Laufer in Xian and is described by him in his Jade, Pg,332, pl. 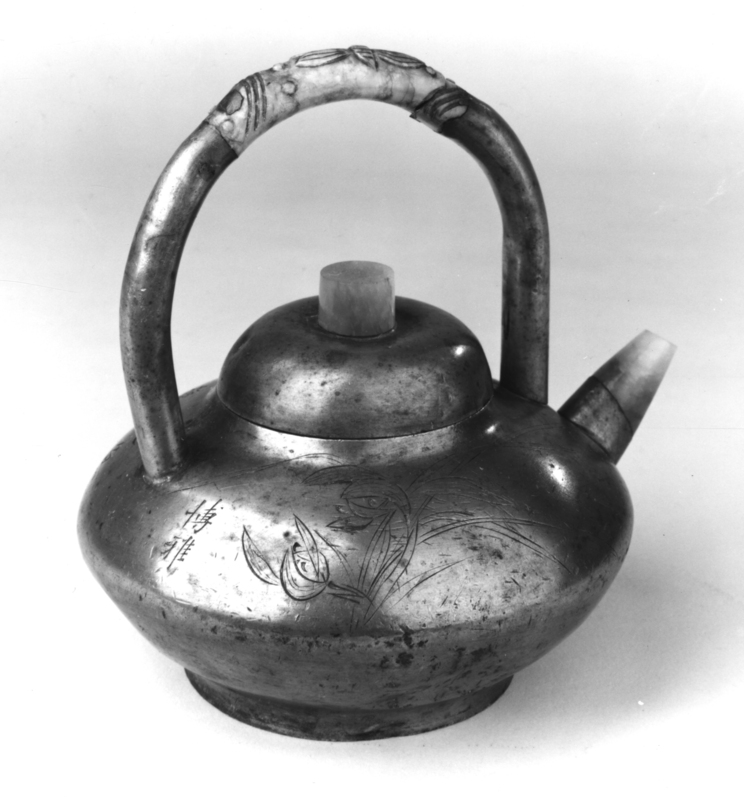 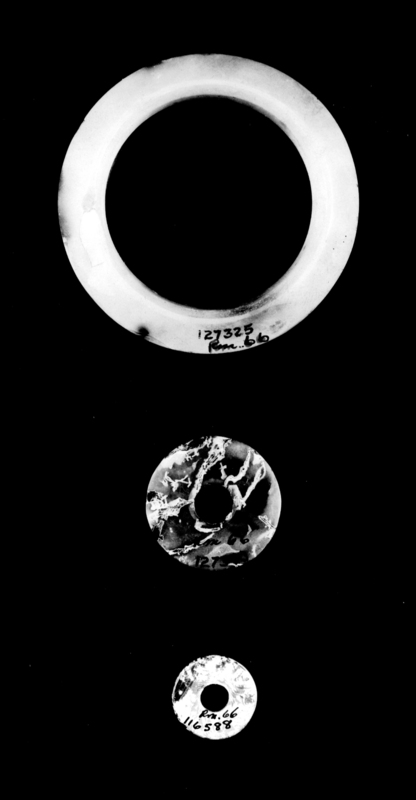 lxiv #5. 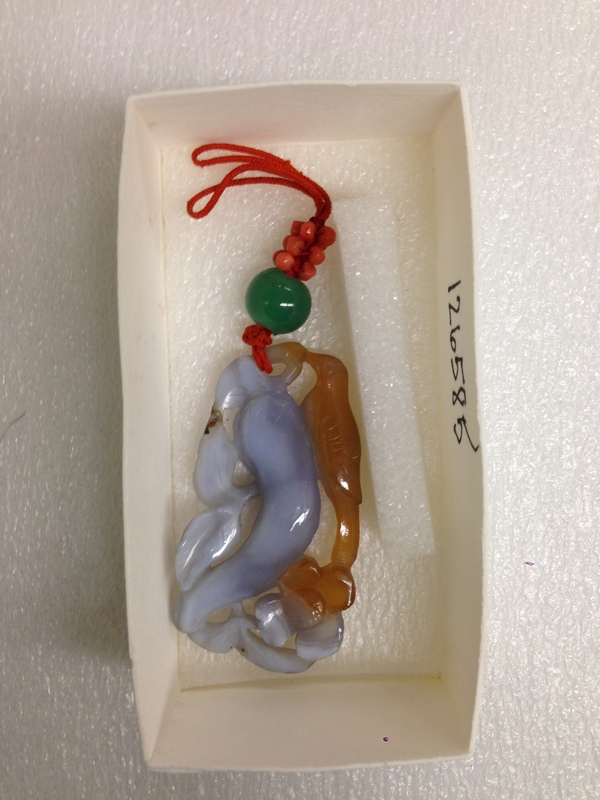 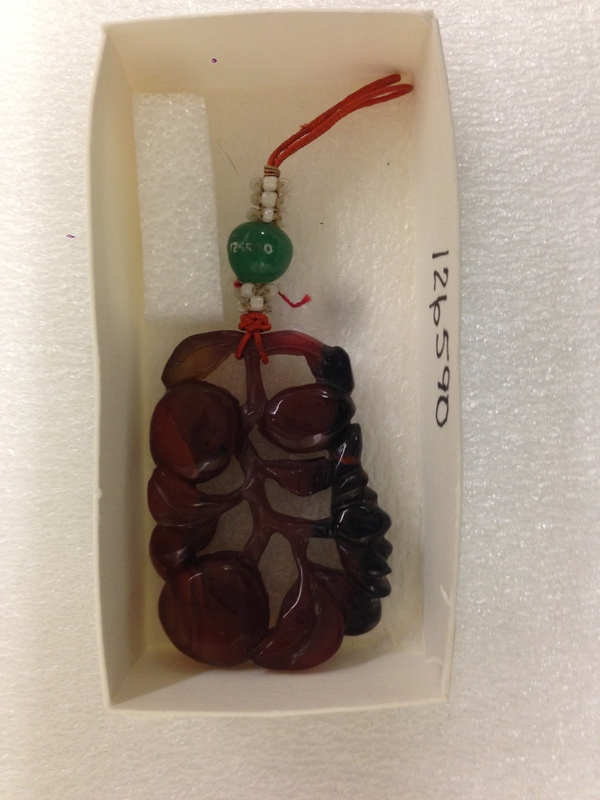 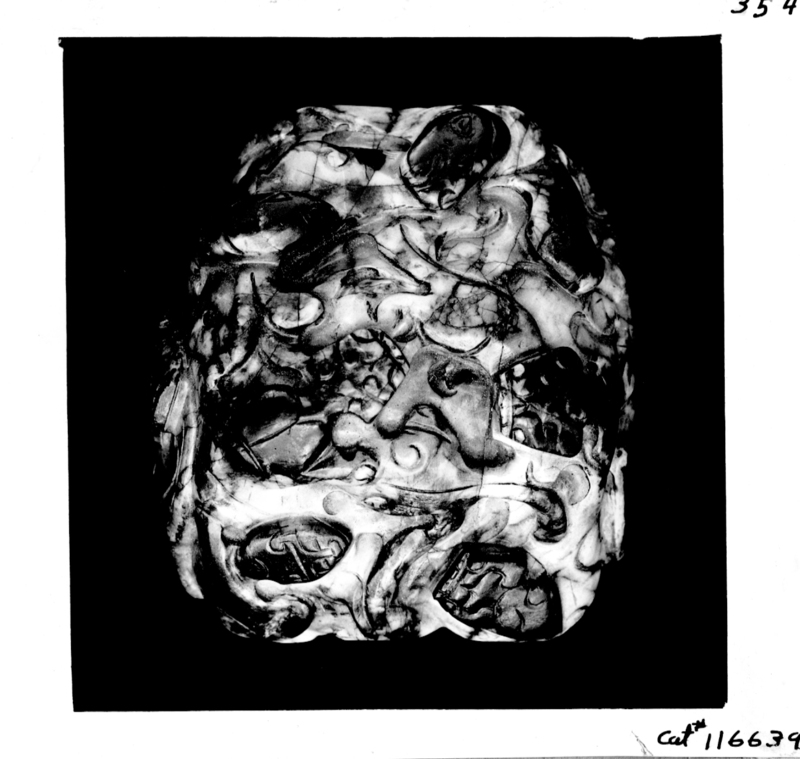 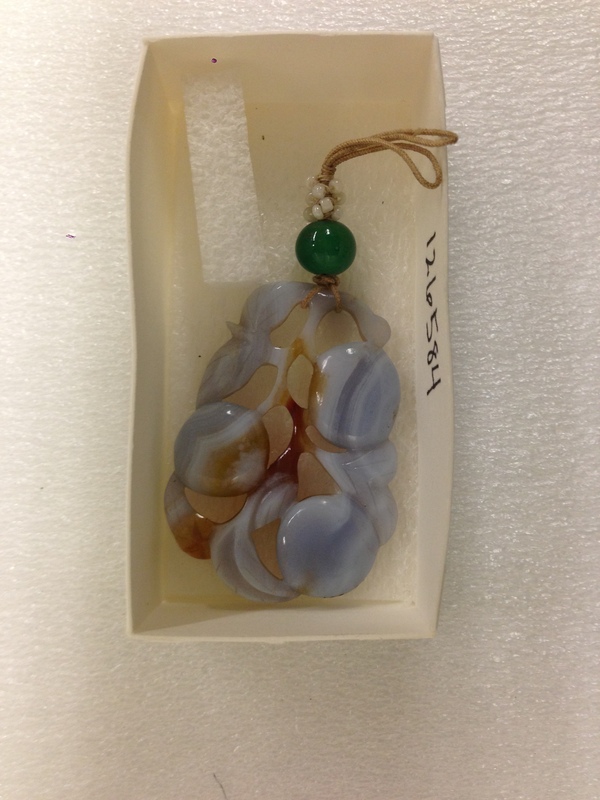 It is a paper-weight (shu chen) of white and red agate and often found on scholar's desks. 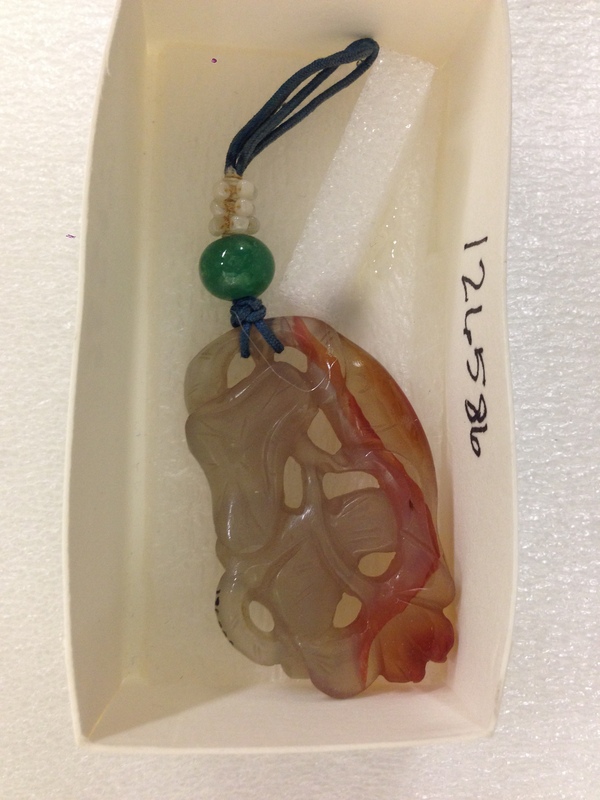 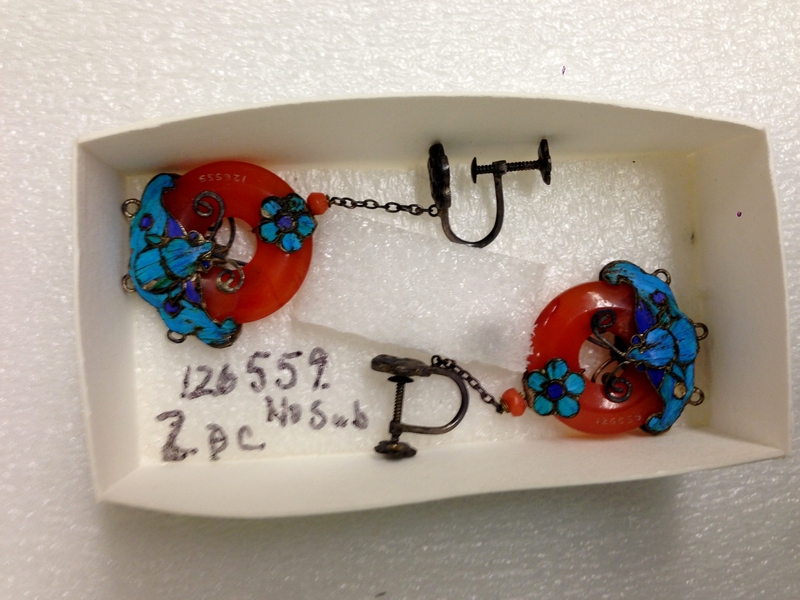 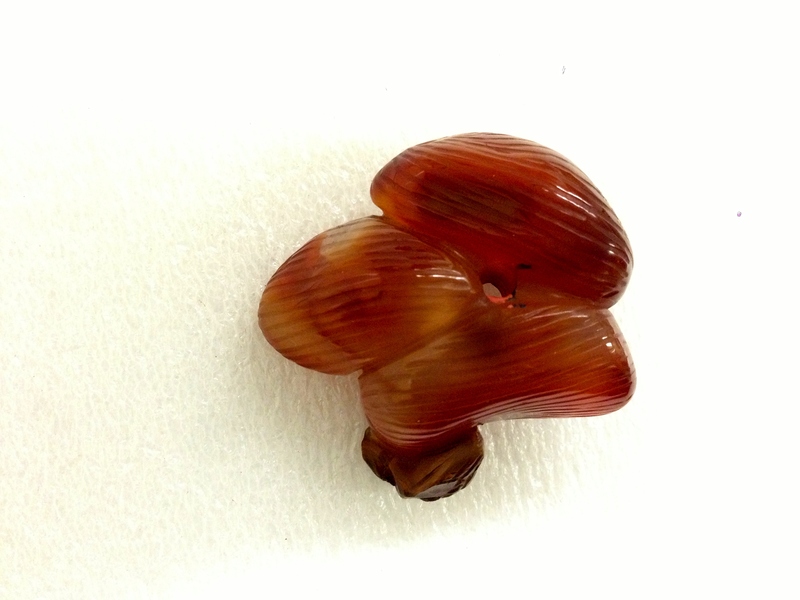 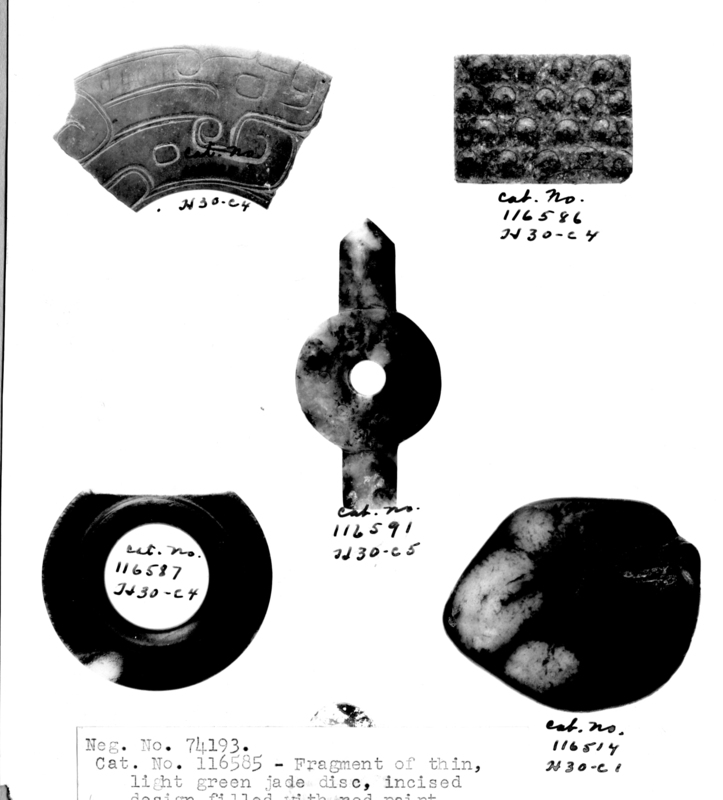 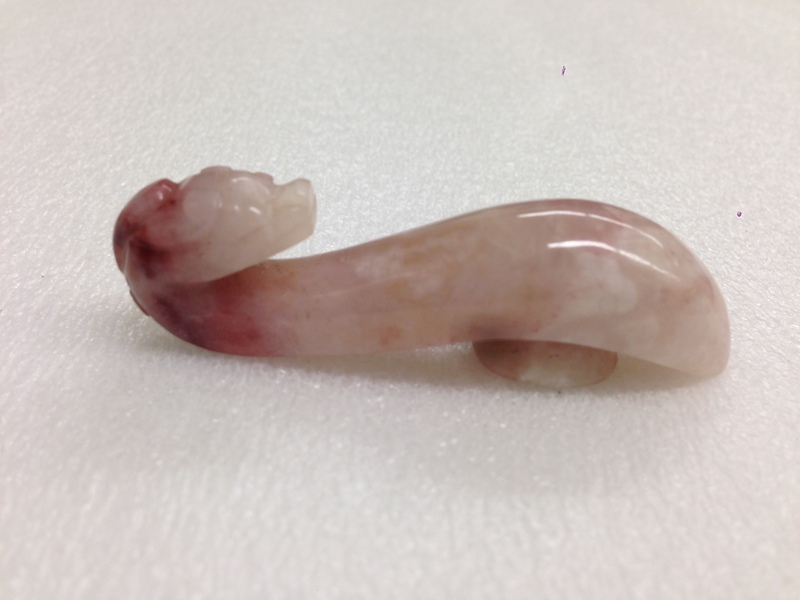 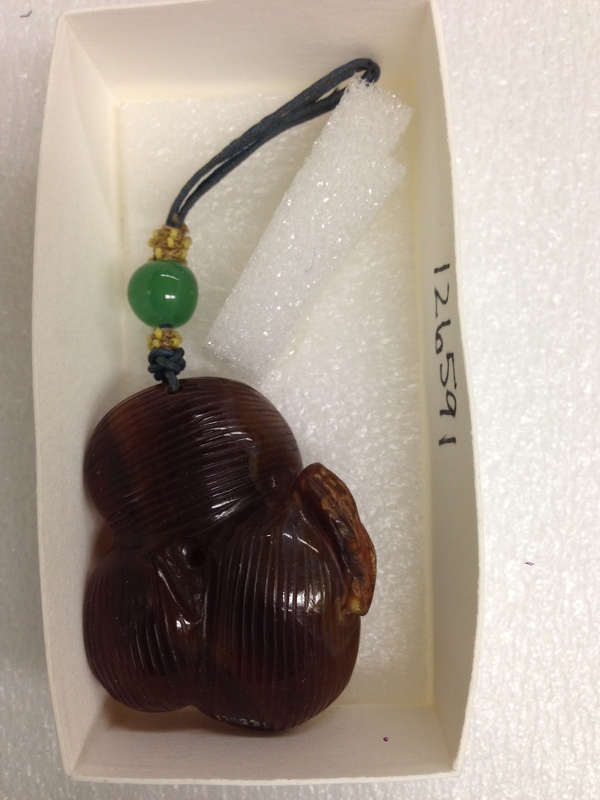 Description: girdle clasp, A girdle clasp of pink agate carved with the hook in the form of a dragon's head.